The majority of Australia’s public housing tenants are satisfied with the services of their housing provider, according to a report by the Australian Institute of Health and Welfare. The research found that about one in five public housing tenants and one in three community housing tenants indicated they had been homeless at some time – about one in five households had at least one person who needed help with self-care, communication or body movement activities. The detailed results from the National social housing survey state and territories results 2010 by the Australian Institute of Health and Welfare are a snapshot of the community and social housing sector. 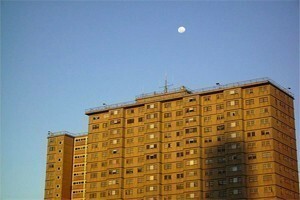 Around 90 per cent of social housing tenants felt more settled and more than two-thirds enjoyed better health, the report found. Across all reported jurisdictions, health or allied health services were needed most frequently by both public and community housing households (67 per cent and 70 per cent respectively), followed by mental health and personal support services. The research found that Victorian public and community housing respondents generally recorded a higher service need than any other jurisdiction. Community housing respondents in Tasmania reported the highest level of satisfaction, while among public housing tenants the highest level of satisfaction was in Queensland (90 per cent and 84 per cent respectively). Overall dissatisfaction (either dissatisfied or very dissatisfied) with the services offered by their housing provider ranged from five per cent among Tasmanian community housing respondents to 21 per cent among those in New South Wales public housing. The majority of public housing (59 per cent) and community housing (73 per cent) respondents were satisfied or very satisfied with the physical condition of their home. Among community housing tenants, respondents in Tasmania (83 per cent) and Queensland (79 per cent) were most satisfied, while among public housing tenants, those in Queensland (69 per cent) and South Australia (68 per cent) were the most satisfied. The acting Minister for Housing and Homelessness Julie Collins said the survey painted a detailed picture of the mix of tenants and their experiences and its findings will help compare the data against other results such as the 2011 Census.